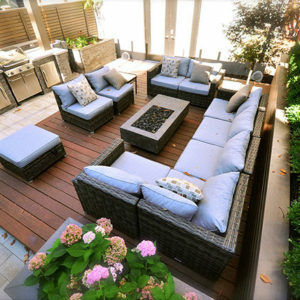 The owner’s criteria for their small city garden was fairly simple: an area for Muskoka chairs arranged around a fire pit; a spot for the barbecue; and a place to grow flowers and herbs. 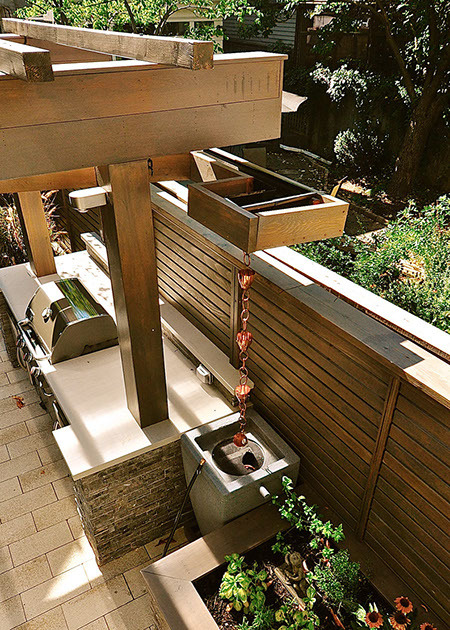 Once the site was measured and after a period of gestation OLA envisioned having an overhead plane that would cocoon the space, provide intimacy, and privacy from the neighbours. 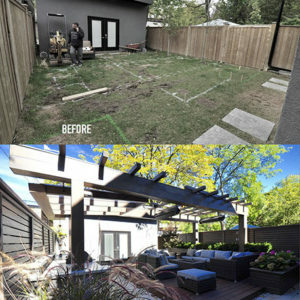 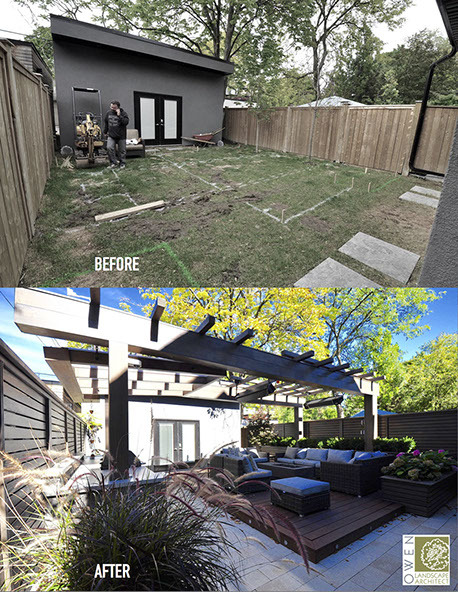 Being a narrow 25 foot lot it presented an opportunity to be able to span the full width of the yard with pergola beams thereby keeping the internal space free and open. 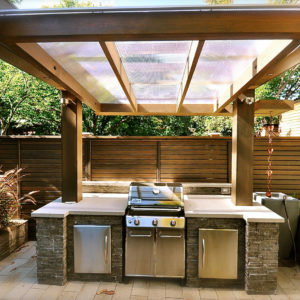 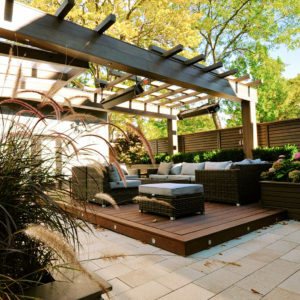 The pergola structure becomes a unifying element, merging the barbecue island on one side, and the lounge area on the other – a deck podium whose dimensions where defined by a precise furniture arrangement. 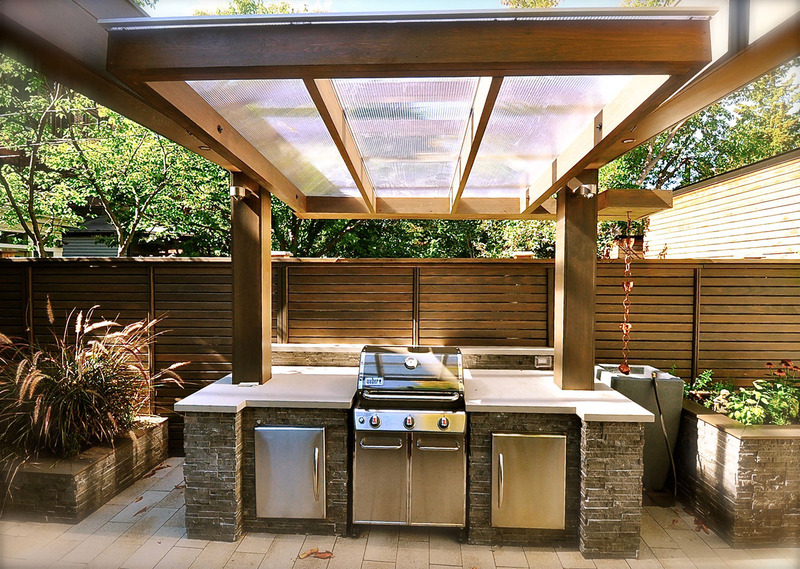 The intentionally overscaled 4X4 timber purlins support suspended gas heaters above the deck and a roof structure over the barbecue kitchen. 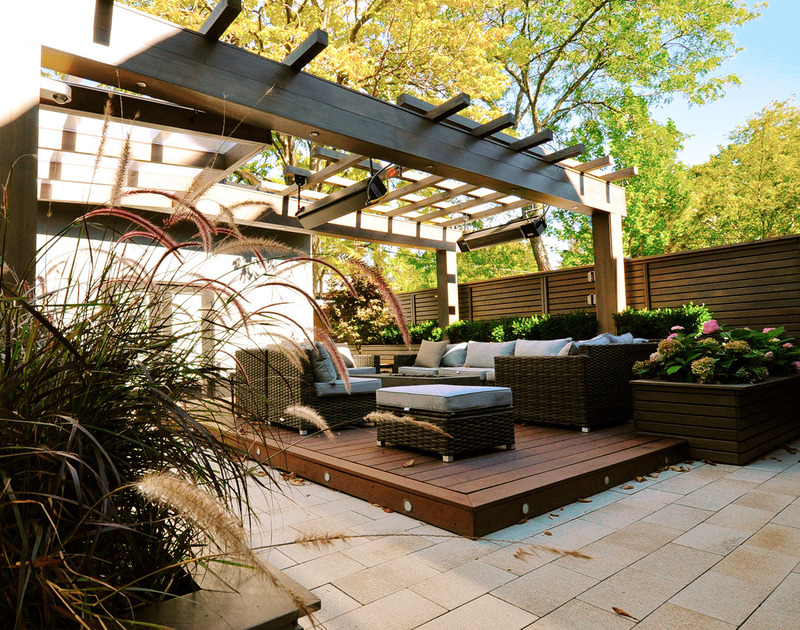 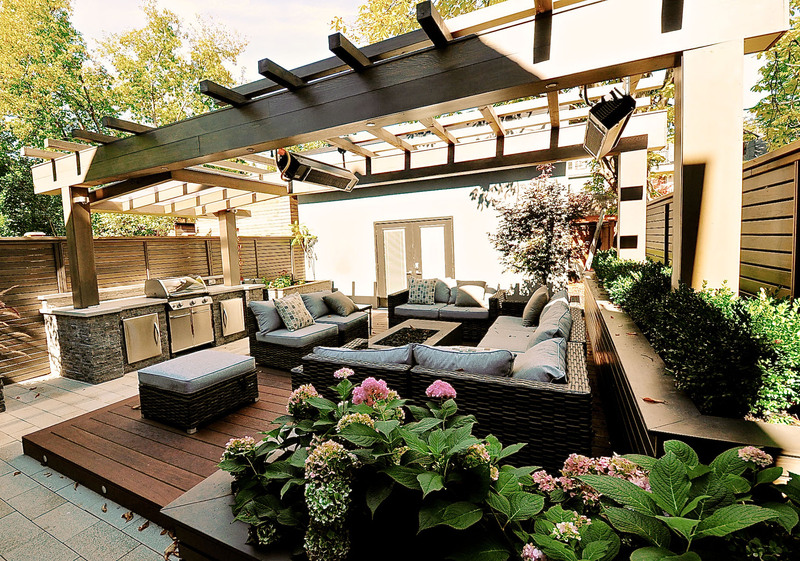 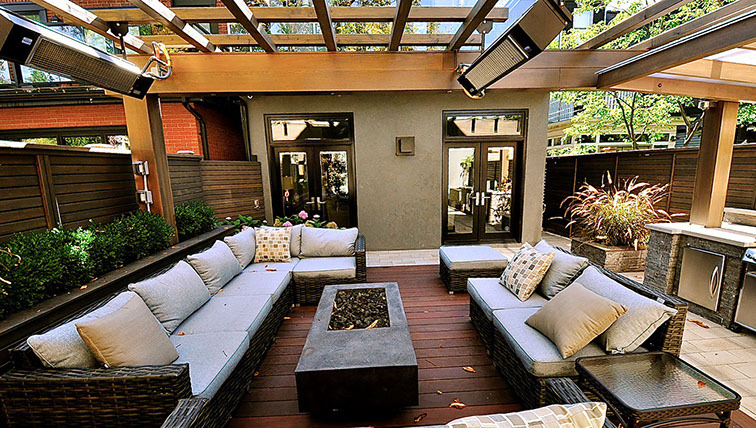 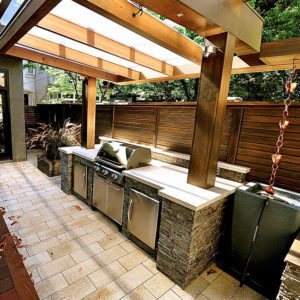 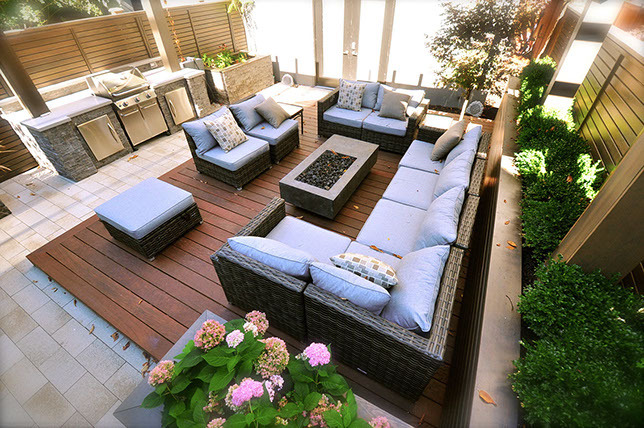 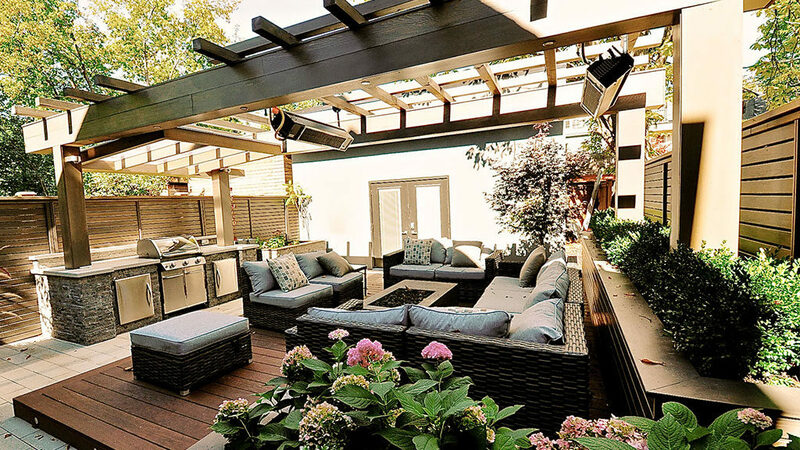 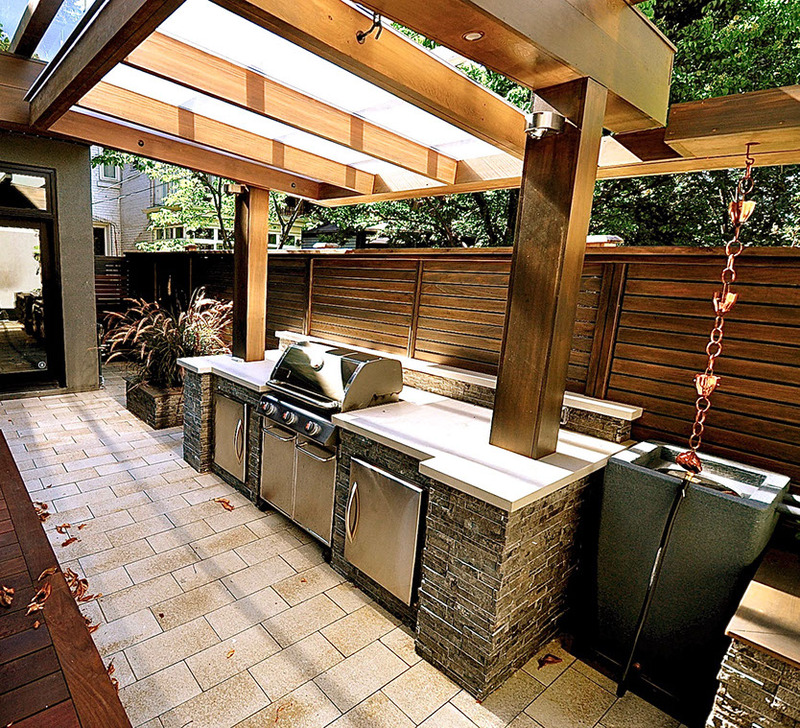 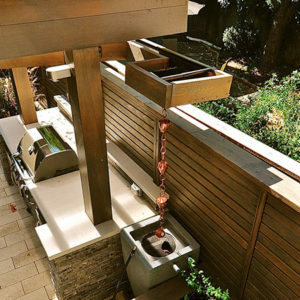 Raised planters wrap around the deck cocooning the space.